Education Minister Bennett slams Labor leader Gabbay's criticism, says his party chooses to beat Hamas. 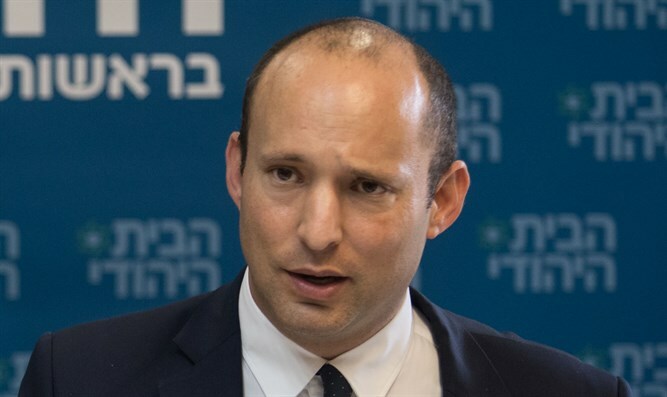 Education Minister and New Right Chairman Naftali Bennett slammed Labor leader Avi Gabbay's criticism of his statement that he wants "a strong right which will restrain the Supreme Court and beats Hamas." "My intention was very clear, and the Left's attack was expected and hypocritical," Bennett said. "In the choice between surrendering to the Supreme Court and being victorious over Hamas, we choose to be victorious over Hamas." Earlier, Gabbay had slammed Bennett and insisted he resign from the Education Ministry. "This is one of the most horrific and outrageous statements any Education Minister in the State of Israel has ever said," Gabby claimed. "You cannot put Hamas and the Supreme Court in the same sentence." "Bennett must resign his position immediately, and if he does not, the Prime Minister must fire him immediately for [saying] such a thing. He should not be educating our children. "Bennett sits in the Security Cabinet and gives suitcases full of money to Hamas. He's not beating Hamas. Their path has never beaten Hamas. But even though they haven't beaten Hamas, they claim they'll restrain the Supreme Court."